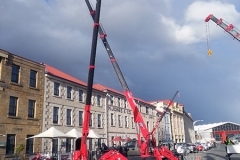 UNIC Mini Crawler Cranes are the perfect solution for confined areas where maneuverability is essential. 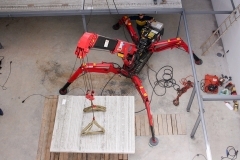 Excellent accessibility and flexibility will make many labour-intensive lifting operations easier, safer and faster with a UNIC Mini-Crawler Crane (spider cranes). 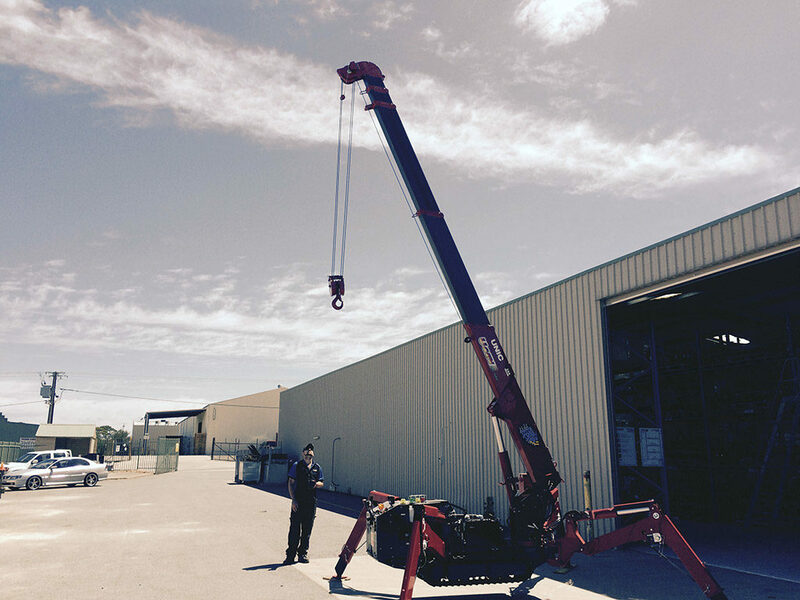 As WA’s sole supplier of UNIC products, we offer a range of mobile cranes with lifting capacities from 1 to 10 tonnes. Our smaller cranes are compact enough to fit through standard doorways and have up to 2.93t of lifting power. 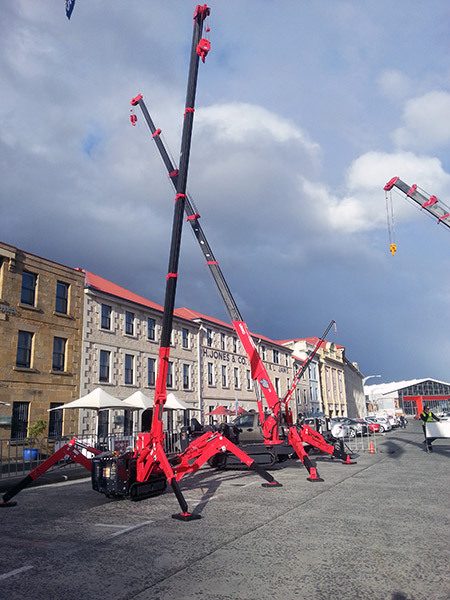 The 1006C model UNIC Mini-Crawler Crane is the world’s largest mobile crane and has a lifting capacity of up to 10 tonnes, plus has the benefit of being able to fit through a double sized doorway in its stowed position. The cranes are used worldwide in a diverse range of applications in construction, glazing, plant maintenance, and roadworks. Its compact design means UNIC Mini-Crawler Cranes are ideal for work at heights, pole placement, art installations, indoor and underground operation just to name a few. The multi-angle outrigger configuration of the cranes gives maximum stability and added flexibility when operating in tight work areas. Workplace and operator safety is a top priority with our UNIC Mini-Crawler Cranes. Each crane has standard features including radio remote control, load meter, three-coloured lamp and an automatic stop device for overloading. Most of the UNIC Mini-Crawler Crane range is also available with electric motors for applications where exhaust fumes are restricted and to reduce noise levels to a minimum. There is a range of customisations available such as fly-jibs and searcher hooks to get even more reach and lifting capacity out of your UNIC Mini-Crawler Crane. 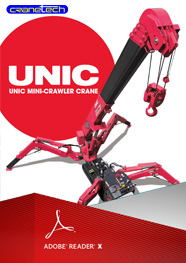 Please feel free to check out our range of UNIC Mini Crawlers below, or contact us for more information about our mobile cranes.